Website Design and Development for "Samouri.gr"
Samouri.gr initiated its presence in the greek market in 1974, offering various sweet products into the Greek market. In 2017, intros.gr, designed and developed a coorporate website using latest Joomla CMS. We also stayed focused on Search Engine Optimization. 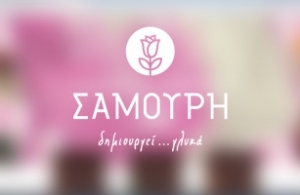 Users can reach Samouri.gr website easily and rapidly. Last but not least, we proceed with digital promotion and advertisement for the company. We define and create the right channels (Facebook Fanpage, Youtube Channel, Instagram) for distribution and immediate response with our clients, which is also an important way to drive a targeted traffic to your webpage. This method is used to increase Samouri.gr popularity and also trust. Using the above channels we target to quality group of people and drive those who are determined to buy, straight into the specific page of website. Note: We record website using Google Analytics.